Welcome to Democrats Abroad San Miguel de Allende! 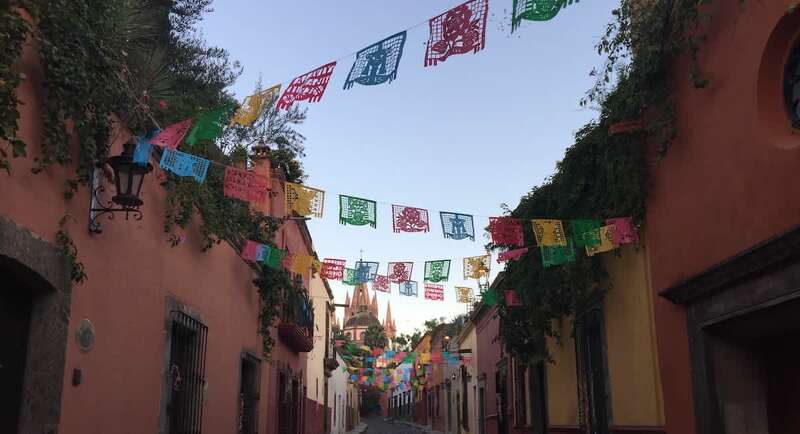 Welcome to the San Miguel de Allende Chapter of Democrats Abroad Mexico! We want our members to know, that we are here in support of our membership and mission, to help U.S. citizens living abroad stay informed and exercise their right to vote and will continue to do so in future U.S. elections. We also offer fun, social events, as well as opportunities to participate as a volunteer each year. San Miguel is lucky to have a vibrant, diverse community of active U.S. citizens. Stay in touch with us by following us locally on Facebook! Or on Twitter @DemsAbroadSMA and on Instagram! If we can help in any way, please reach out to us! ¡Bienvenido a el San Miguel de Allende Chapter de Democrats Abroad México! Queremos que nuestros miembros sepan que estamos aquí para ayudar al grupo y su misión - apoyar a ciudadanos americanos en el extranjero a mantenerse informados para que puedan ejercer su derecho al voto. Seguiremos haciendo esto en todas futuras elecciones estadounidenses. También ofrecemos divertidos eventos sociales así como oportunidades para participar como voluntario cada año. San Miguel tiene la fortuna de contar con una comunidad vibrante y diversa de dichos ciudadanos americanos..
¡Manténte en contacto con nosotros siguiéndonos localmente en Facebook! ¡O en Twitter @DemsAbroadSMA y en Instagram! Si en algo podemos apoyarte, ¡no dudes en contactarnos! Democrats Abroad Mexico says... Thank You! Democrats Abroad SMA hosted the Annual General Meeting for Democrats Abroad Mexico the weekend of March 30th at the Hotel Posada de La Aldea. A highlight was having Robert Reich speak to the group. It was streamed live on Facebook and can be watched here. Or watch a pre-talk interview with Lauren Carlsen of the CIP Americas Program for The Real News here. We were also pleased to have Genaro Lozano from Mexico City speak to the group on Sunday, offering a perspective from Mexico media in the relationship of our two countries. We were so lucky to have both speakers, and thank many of you for coming out to support the conference. New leadership was elected for the country, and it was a great opportunity for people to meet, network and share ideas on how we will be moving forward. A major goal of Democrats Abroad Mexico will be growing our membership base.